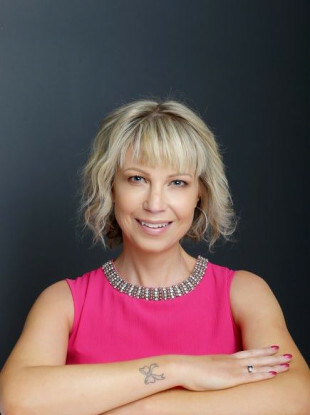 A RESEARCH FELLOWSHIP in honour of bestselling author Emma Hannigan has been announced by Breast Cancer Ireland today. Hannigan passed away one month ago today, on 3 March, at Blackrock Clinic at the age of 45 following an 11-year battle with cancer. Before passing away, Hannigan had raised over €126,000 for cancer research and Breast Cancer Ireland, of which of she was an ambassador. The inaugural award for will go to research fellow Dr Damier Varislija, Breast Cancer Ireland has said. Speaking to RTÉ Radio One’s Morning Ireland, CEO of Breast Cancer Ireland Aisling Hurley explained that cancer research was of great importance to Hannigan during her battle. “Research was something really key to Emma throughout her 11 years when she was battling the disease. She came and met with our researchers and she visited our research lab and … I thought would be very fitting for us to name a research fellowship in her honour,” Hurley said. Speaking of the impact that cancer research had on Hannigan’s battle the disease, Hurley said: “As [Hannigan] would say herself when she was speaking at engagements, each time that she was diagnosed with a different form of cancer there was a newer drug, newer development, newer clinical trials that she was able to avail of. Quietly, I couldn’t believe how selfless she was in the last weeks before she passed. I had spoken to her dad about it and he said she was just so touched and really wanted people to come out and support research. She realised she was kept alive all those years because of research. Hurley said that the team at Breast Cancer Ireland has been “overwhelmed” by the support and donations it has received since Hannigan’s passing. Hannigan is survived by husband Cian, children Sacha and Kim, parents Philip and Denise, and brother Timmy. Since her passing, Hannigan’s family has asked for people to make a donation to Breast Cancer Ireland by texting CURE to 50300. Email “Cancer research fellowship launched in memory of author Emma Hannigan”. Feedback on “Cancer research fellowship launched in memory of author Emma Hannigan”.